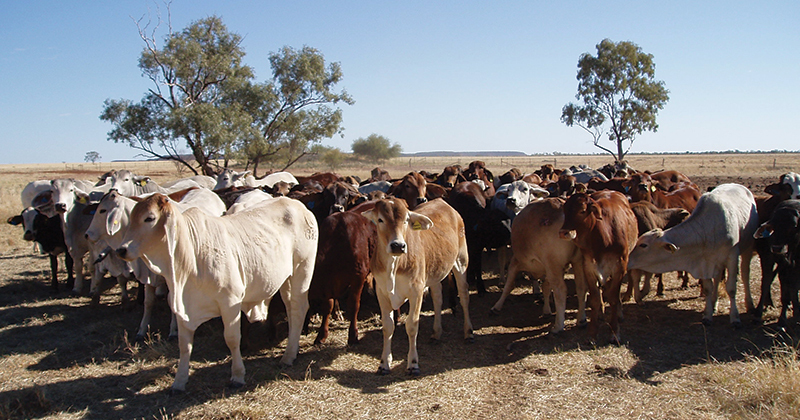 The latest retail meat prices quoted by Meat & Livestock Australia (MLA) pegged beef at a record high. The March quarter saw retail beef prices rise at a time when the price of cattle was weakening and hitting a 3 year low. Either retail beef prices are still catching up to cattle values, or retailers are making money again. Figure 1 shows retail beef prices sneaking higher in the March quarter. The 1% increase in retail beef prices was modest compared to the rally in 2014 and 2015. Regardless, the 1951¢/kg retail weight price was a new record for beef prices. As outlined in our lamb article a couple of weeks ago, beef prices are the most expensive of the major proteins, sitting at a 23% premium to lamb. Beef has been more expensive relative to lamb in recent times, and as such there shouldn’t be pressure coming on the retail prices from that quarter. It’s interesting that the March quarter saw record retail prices, yet Figure 2 shows that the NSW Over the Hooks Trade Steers reached a two and a half year low. Retail prices did manage to ease a little when the fall in cattle prices started back at the end of 2016, but they have rallied slowly from there. Figure 2 is a little deceiving, however. The fall in cattle prices still doesn’t have cattle prices back at the average proportion of the retail beef price. Figure 3 shows that the March quarter saw the NSW Trade Steer at around a 24% of the retail price. The cattle price proportion of the retail price is a very rough proxy for retail margins. The higher the cattle price as a proportion of the retail price, the smaller the retail margin. When the NSW Trade Steer was at 28-30% of the retail price, it’s safe to say retailers were struggling. While the fall to 24% makes things a little easier for retailers, the cattle price proportion is still above the 21% average of the 15 years to 2015. It seems the reason retail beef prices haven’t fallen back with cattle prices over the last two years is the fact that the cattle prices still haven’t fallen far enough to put retail margins back at historical levels. Additionally, lamb prices remain historically strong at the retail level so beef prices don’t necessarily have to fall to compete. As outlined earlier this week, export beef demand is also very strong, and as such, there isn’t necessarily more beef on the domestic market which needs to be moved, and would encourage lower beef prices.